#You Can Run But You Can't Hide! "Sorry I missed you on my telephone townhall. I hope you can join next time." True enough. 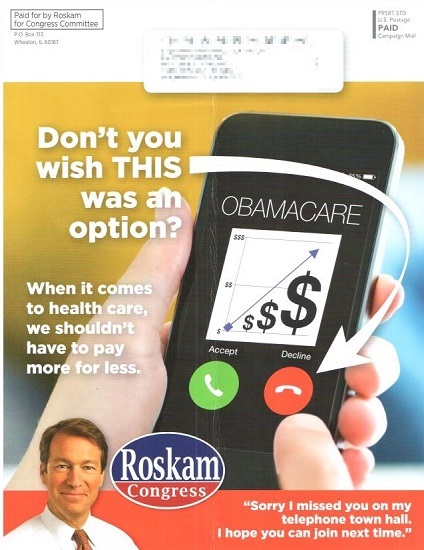 Having had used up all the minutes on the flipphone, your LakeCountyEye did not respond to the Roskam telephone townhall. But it was nice of them to keep tabs, anyways. Doubtless a lot of time and expense goes into monitoring who answers the phone, and who does not. Note to Ops: Intelligence gathering is mostly a matter of connecting the dots.